Higher Education Minister Richard Lochhead has praised the University of Glasgow for its efforts to attract more students from disadvantaged backgrounds. 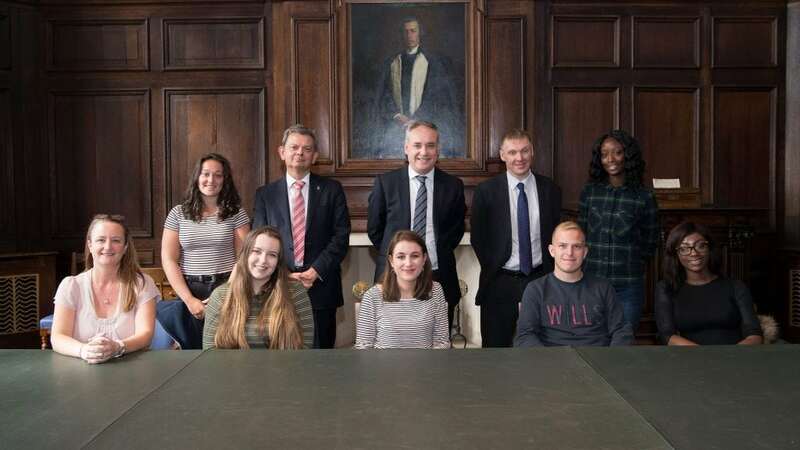 Mr Lochhead made the comments after meeting students who have benefited from the university’s widening participation programmes which aim to break down barriers for less affluent potential students. A record number of students from Scotland’s most disadvantaged areas successfully gained a place at university this year according to latest UCAS figures. Over the last two years there has been a 16% increase in the number of all age applicants from the 20% most deprived areas securing a place at university – an increase of around 690 to 5,140. “It is clear to see the University of Glasgow’s commitment to widening access and of all the ancient universities it continues to have the highest percentage of entrants from the most deprived communities. Speaking to the students today it was evident that programmes such as the university’s summer school have made a real difference and helped them to achieve their educational aspirations. “Since 2007 the Scottish Government has provided free tuition to over half a million students in full-time higher education and we are firm in our ambition that every child, irrespective of socioeconomic background, should have an equal chance of accessing higher education. We have a well-established road map with key milestones and I expect every university to take action now to ensure that, by 2021, 10% of entrants to each university are from Scotland’s 20% most deprived backgrounds. “We are deeply committed to widening access and to offering a world-class education to anyone who has talent and ambition, regardless of economic circumstance or social background – this doesn’t just benefit those students, but makes our University more diverse and reflective of the society we serve. “We have implemented a number of measures to widen access to applicants from a non-traditional background, including a suite of pre-entry widening participation programmes for school-leavers and adult returners to education – like our Summer School, Top-Up, Reach and Access to a Career programmes. We also work annually with more than 20,000 pupils in more than 100 targeted secondary schools in the west of Scotland. The post Higher Education Minister firm on widening access agenda appeared first on Engage for Education. This entry was posted in Professional and tagged Universities, Widening access on 12 September, 2018 by Education News Team. For more than 135,000 young people and their families today is the most anticipated day of the summer as they receive their SQA results. I had the opportunity to meet just a few of them during a visit to Firrhill High School in Edinburgh this morning and again at a special SQA celebration for care experienced young people in Glasgow. They should all be proud of the hard work and determination that has gone into preparing for today, as should all our young people receiving results right across the country. It is also important to remember that, whatever the outcome, today is only the beginning of an exciting and sometimes unpredictable journey to the career of your choice. Overall, Higher passes are stable, despite a continuing fall in the number of young people on the school roll, while the number of Advanced Highers being taken continues to grow. This is the first year where unit assessments have been removed from the National 5, and the overall pass rate remains high at 77.4%. The number of awards of skills-based qualifications increased to over 50,300 this year, more than double the number in 2012. That reinforces to me, yet again, that we have fantastic young people led by dedicated teachers and lecturers delivering first class education in our schools and colleges every day. And that is backed by a robust, credible assessment system. I would like to offer my congratulations to everyone involved. Today we also welcomed figures that show a record number of students from Scotland’s most disadvantaged areas gained a place at university – the third consecutive annual rise. The poverty related attainment gap – the cycle of poverty that passes from one generation to the next – is closing. Every child growing up in Scotland, regardless of their background, should have an equal chance to succeed. I am delighted we are making steady, sustained progress on ensuring students from the most deprived areas of Scotland are going on to higher education. At the same time, the total number of Scottish students from all backgrounds getting a place at a Scottish university has hit a new record. We have more people from Scotland going to university than ever before, more modern apprenticeship places than ever before, and our colleges are delivering more courses with qualifications and awards that help get people jobs than ever before. I know there is much more to do but today is the perfect time to reflect on the progress we have made within Scottish education to date and, most importantly, to celebrate the success of each and every one of our young people. The post Results day appeared first on Engage for Education. This entry was posted in Professional and tagged Colleges, schools, Universities, Widening access on 7 August, 2018 by John Swinney MSP. “These figures are a stark reminder of why this Government was right to take the action we did on widening access. “They show that in the four years up to 2016-17 nothing had changed and, on their own, universities were not making improvement in increasing the percentage of students from the 20% most deprived areas. “The Commission on Widening Access reported in March 2016, by which time the vast majority of students had already applied for the 2016-17 academic year. So these figures provide a baseline from which to judge how successfully the Commission’s recommendations will be implemented – at a national level but also at an individual institution level. The data shows that, in 2016-17, 13.8% of full-time first degree entrants were from SIMD20. For all Higher Education entrants (including sub-degree and college), 17.7% are from SIMD 20. The Commission on Widening Access target, accepted by the Scottish Government is, by 2030, students from the 20% most deprived backgrounds should represent 20% of entrants to higher education, with equality of access seen in both the college and university sector. – By 2021, an individual institutional target for universities of 10%. The Commission’s final report was published in March 2016. The main UCAS deadline for the 2016-17 academic year was January 2016. The UCAS 2017 End of Cycle report (published December/January) showed a 13% increase in the number of Scots from the most deprived communities getting places to study at a Scottish university in 2017 (4,565 in 2016 to 5,170 in 2017). The post Minister comments on 2016-17 widening access statistics appeared first on Engage for Education. 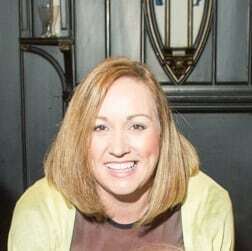 This entry was posted in Professional and tagged Colleges, minister, Scottish Funding Council, Scottish Government, Shirley-Anne Somerville, statistics, Universities, Widening access on 30 May, 2018 by Education News Team. 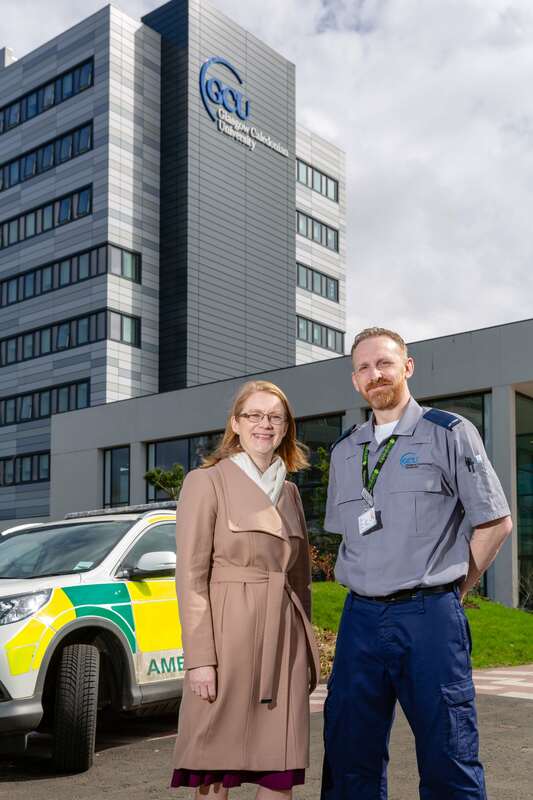 Further and Higher Education Minister Shirley-Anne Somerville today met a former roadie who swapped life touring the world with a band to train for his dream job as an ambulance paramedic thanks to a college access course to university. Chris Anderson, who is now studying for his BSc in Paramedic Science at Glasgow Caledonian University, was travelling and working at international music venues when he realised his true vocation. Chris was one of the students meeting Scotland’s Higher Education Minister Shirley-Anne Somerville MSP when she visited Glasgow Caledonian University to find out about the support available for more than 1,000 college students who join degree courses at the University each year. “This has been a good opportunity to see the work that Glasgow Caledonian University is taking forward to support students from a variety of backgrounds to fulfil their potential at university. Widening access is a key priority for this Government. Part of delivering this change is looking at examples of best practice to understand what works well and sharing that learning across the university sector. Chris Anderson says the college courses he took were a perfect preparation for university. He is now going out on placement as part of his course and he’s certain he’s made the right move. The post Articulation in action appeared first on Engage for Education. This entry was posted in Professional and tagged articulation, Colleges, Scotland, Scottish Government, Universities, University, Widening access on 17 April, 2018 by Education News Team. Further and Higher Education Minister, Shirley-Anne Somerville, has put equality and fairness at the heart of her guidance to universities and colleges for 2018-19. Setting out her expectations for the sector in the letter of guidance to the Scottish Funding Council, published today, the Minister said that continued progress in implementing the recommendations of the Commission on Widening Access is vital. The letter sets out the government’s expectations and priorities for its investment of £1.8 billion in the further and higher education sectors in 2018-19. In particular, the letter highlighted the leadership role expected of the Scottish Funding Council to drive forward improvements which will contribute to equality and fairness in the further and higher education system. This includes taking forward the Equally Safe initiative to address violence against women and girls on campus, as well as working with student’s organisations to ensure universities and colleges have support services in place that meet the needs of students with mental health difficulties. Institutions will be expected to develop a strategy for mental health and work with NUS Scotland and their local student association to develop a Student Mental Health Agreement. “Education remains this Government’s defining mission and the Scottish Funding Council has a crucial role to play in supporting our drive to achieve educational excellence, equity and economic growth. “As this letter makes clear, widening access to university for people from the most disadvantaged backgrounds remains our key priority and I am clear that progress must continue at pace. “It with this in mind that I am putting equality and fairness at the heart of this year’s guidance to the sector. “I am determined that we embrace the spirit of the equality agenda, as well as meet expectations on access, and I amclear about the role SFC must play to drive forward improvements in key areas such as student safety and well-being, gender equality and the living wage. “We know that universities and colleges have a key role to play in achieving our ambitions and that is why we have demonstrated our commitment by increasing their budget. View the Scottish Government’s Letter of Guidance 2018-19 to the Scottish Funding Council online. The post Equality and fairness at heart of college and university agenda appeared first on Engage for Education. This entry was posted in Professional and tagged Colleges, Universities, Widening access on 5 April, 2018 by Education News Team. 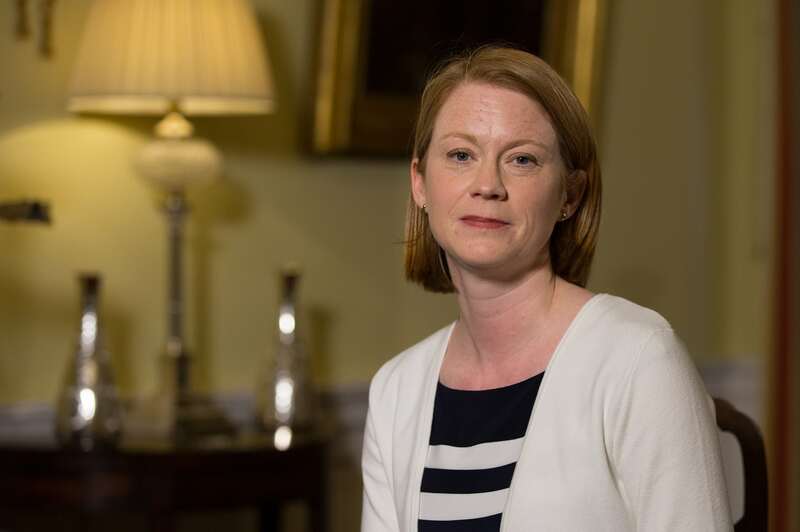 Further and Higher Education Minister Shirley-Anne Somerville has said that Abertay University’s early introduction of access thresholds for students from disadvantaged backgrounds should be seen “as an example” for other institutions. “This Government firmly believes that access thresholds have the potential to make a significant contribution to reducing inequalities in higher education. There is extensive evidence that universities get the best students by taking into account the social and educational background of an applicant in its admissions process, which is why access thresholds have an important role to play. “This is a view supported by the Commission on Widening Access, who recommended that all universities introduce access thresh olds by 2019. “So I welcome the opportunity to hear from Abertay University about how they have already implemented access thresholds, in time for the 2017 academic year. The initial findings are encouraging, with the number of entrants who received an adjusted offer doubling in 2017-18. 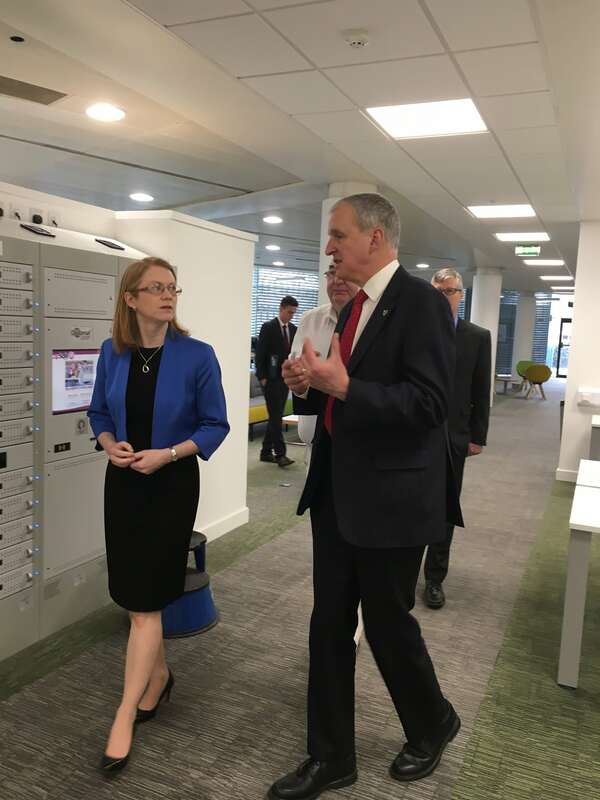 The post Minister praises introduction of access thresholds at Abertay University appeared first on Engage for Education. This entry was posted in Professional and tagged abertay, access thresholds, Scotland, Scottish Government, Universities, University, Widening access on 28 March, 2018 by Education News Team. More Higher Education students than ever before are receiving financial assistance from the Scottish Government. New statistics show 143,110 students received support in 2016-17, up from 141,000 the previous year. The figures show that almost 3,000 additional students qualified for a non-repayable bursary or saw their funding increase as a result of the income threshold being raised from £17,000 to £19,000 last year. There was also an increase in the number of students receiving support through the Nursing and Midwifery Bursary scheme, from 8,790 to 8,915. The post Record student support appeared first on Engage for Education. This entry was posted in Professional and tagged bursaries, Colleges, Funding, student support, tuition fees, Universities, Widening access, Young People on 31 October, 2017 by Education News Team. At the event to unveil the Fair Access Commissioner at Glasgow University, the new Commissioner and Minister for Further Education, Higher Education and Science, Shirley-Anne Somerville met some of the students who have been able to study at the university thanks to its widening access programme. Here, one of the students – Paula – shares her story. I’m Paula Christie and I’m 40 years old. I decided to return to education in my 30s after taking time out from a career in financial services following the birth of my two sons. I attended Clydebank College (now West College Scotland) where I completed a SWAP Access course, and from there I moved on to undergraduate study at Glasgow University. I was awarded a First Class Joint Honours degree in Politics and Central and East European Studies. I was delighted to win a highly competitive 5 year scholarship from the Economic and Social Research Council (ESRC) and begin an integrated postgraduate language, Masters and PhD programme. To date I have been awarded a Postgraduate Diploma in Russian Language and a Master of Research (Social Sciences) post graduate degree. I’m currently in year one of a three year PhD course in Central and East European Studies, with my research focusing on democratic consolidation and grass roots initiatives in post- Soviet Latvia. Without exaggeration, the Glasgow University widening access programme allowed me to change my life and the life of my family completely. Working part time after having my children placed a huge financial strain on us and my career choices were becoming increasingly limited. Although, at times, it was tough to deal with the continued pressure of studying, I received much needed financial support from the University’s Hardship and Discretionary Fund which allowed me to complete my undergraduate study. I was also awarded a bursary from the Thomas and Margaret Roddan Trust as a result of academic excellence. I now have qualifications that I never thought possible before returning to college. I have been able to re-train in a completely different field, and I hope to make a positive impact in European and Democracy Studies with the research I’m conducting. I’ve travelled with my studies to places I’d never heard of and have had the opportunity to meet so many interesting people. I am now absolutely delighted to be tutoring on the widening access programme myself, as I feel really passionately about giving others the chance to change their lives through education. The programme has given me not only qualifications, but a renewed confidence in myself and my abilities. It’s been an amazing experience and one I’m keen to encourage others to share. This entry was posted in Professional and tagged Uncategorized, Universities, Widening access on 16 December, 2016 by Education News Team. Professor Peter Scott has been appointed Commissioner for Fair Access to Higher Education in Scotland. This was a key point in the report from the Commission on Widening Access published earlier this year. The Scottish Government has committed to implementing its recommendations in full. Prof Scott is currently Professor of Higher Education studies at University College London. I made the announcement at Glasgow University, where Prof Scott and I were fortunate to be able to speak to students who have benefitted from widening access programmes and are now flourishing in higher education. One of them – Paula – has shared her life-changing story for this blog. It’s clear from my early discussions with Prof Scott that he has a passion for widening access to higher education. It’s a passion that I share. A child born in our poorest communities should, by the time they leave school, have the same chance of going to university as a child born in our wealthiest communities. That is what the Scottish Government is determined to achieve. UCAS figures published yesterday show the highest ever entry rate to Scottish universities for 18 year olds from Scotland’s 20% most deprived areas. Since 2006, the rate has increased by 3.7 percentage points to 10.9%. That is encouraging, but there is much more to do and the appointment of Prof Scott is an important milestone to achieving that. There is more information about Prof Scott below, including the comments he made at today’s event. Professor Peter Scott is Professor of Higher Education studies at University College London. Prior to that he was Vice-Chancellor of Kingston University and Pro Vice-Chancellor for external affairs at the University of Leeds. 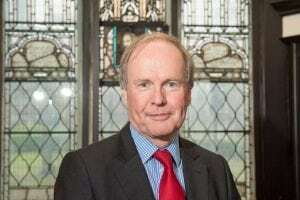 He was a member of the board of the Higher Education Funding Council for England where he chaired its widening participation strategic committee. This entry was posted in Professional and tagged Shirley-Anne Somerville, Uncategorized, Universities, Widening access on 16 December, 2016 by Shirley-Anne Somerville MSP.